The GoPro Fetch Dog Harness for GoPro HERO Cameras features two mounting locations so that you can shoot footage either over the back of your dog or at the chest level. The back mounting option is great for over-the-head shots of running and fetching while the chest mounting option is good for capturing paw actions. This harness is safe to get wet and we appreciate any cleaning you do for it prior to sending it back. It is padded, fully adjustable, and includes a tether for extra GoPro safety. 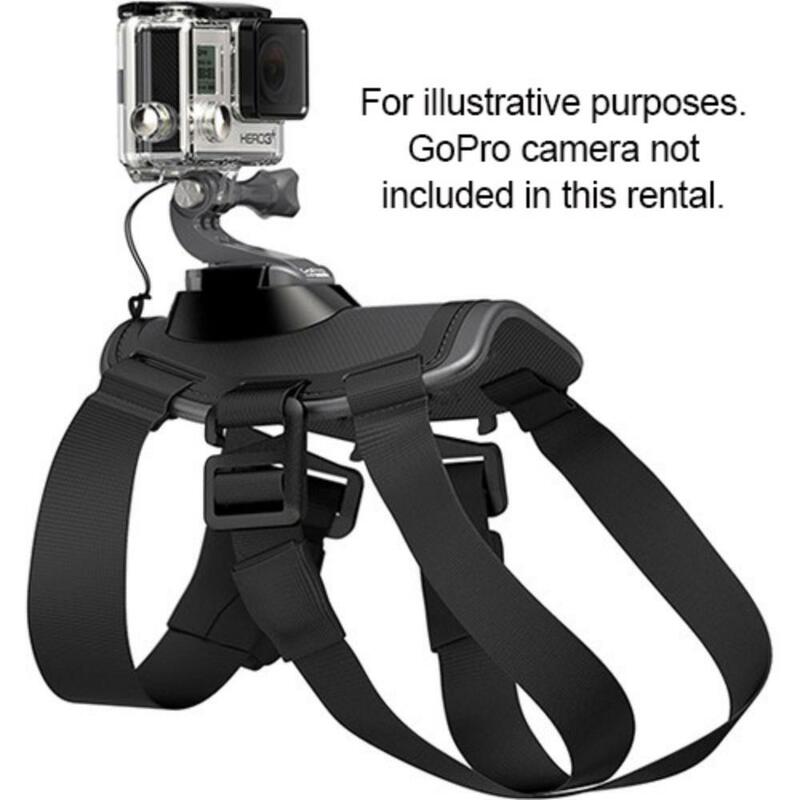 This harness sports the standard mount used in the Quick Release Buckle system of most GoPro housings. 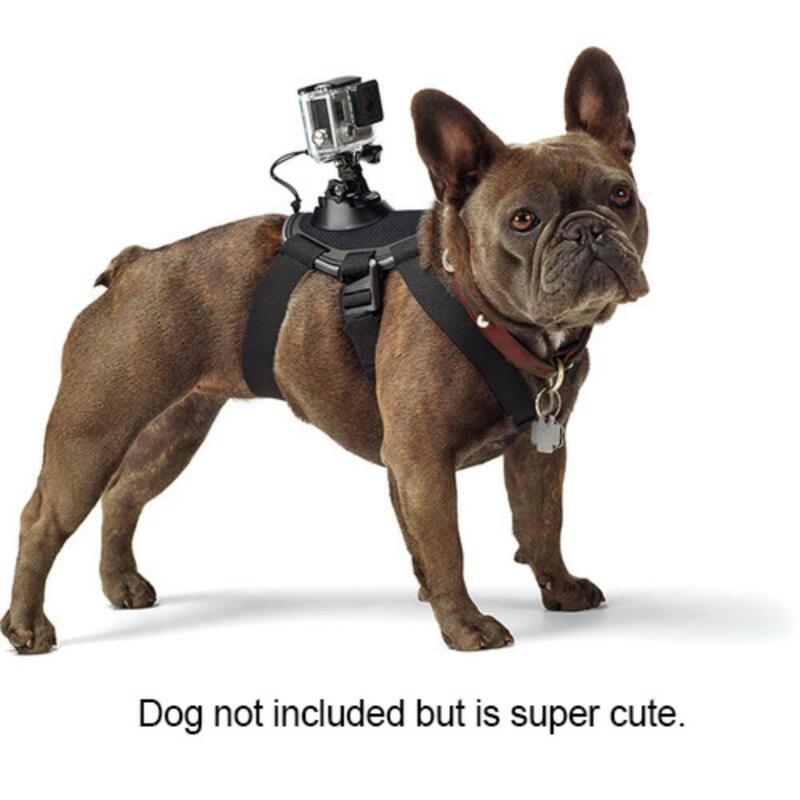 This GoPro Fetch dog harness does not come with a GoPro camera. This harness also fits dogs 15-120 lbs. The chest mount is removable to fit smaller dogs. This harness is washable and, while not required, giving it a good clean before returning it is much appreciated for the next canine customer.